This is a new replacement side mirror gasket for use side mirrors WITH OUT remotre adjustement. 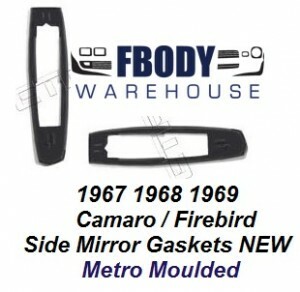 For use on non remote control mirrors 1967 1968 1969 Camaro & Firebird Models. SOLD EACH so use the drop down menu to select either ONE or as a PAIR.